Parsifal – The Opium of the People? Mark Burns’ inventive production, born of Sir John Tomlinson’s masterclasses with some of the soloists last year, set Parsifal in Victorian England at the height of the Opium War. The story was governed by the deadly drug which united high and low in a chain of supply and demand. Klingsor was a despised but necessary Oriental supplier, Kundry, Amfortas and the Esquires were hopeless addicts and the Grail was an opium bottle, empty in Act I and full in Act III. Disturbingly, even Parsifal was corrupted when Gurnemanz “anointed” him by making him drink opium. The Flowermaidens were coarse whores with poppies adorning their gowns, Kundry had a poppy in her hair which she pinned to Parsifal’s coat, the Esquires resembled Fagin’s gang, the Knights were sailors attending their captain, Amfortas, and Gurnemanz wore faultless evening dress. Parsifal, in waistcoat, breeches and boots, resembled a groom. Given that we were in a very English nineteenth century church, it was surprising to see so few religious allusions, but the moment when Parsifal looked up to the Crucifixion group above us during the Good Friday music was powerful indeed. I cannot say that I found the production concept entirely successful, as it sat ill with the religious (or quasi-religious) aspects of the opera, but it was well thought out and thought-provoking. It also retained some traditional aspects frequently neglected nowadays: never before have I seen Kundry dying at the end as Wagner intended. Brian Smith-Walters was exceptionally successful in conveying Parsifal’s initial dumb bewilderment within the Grail domain and his growing wisdom and compassion, and his bright, forward tenor sounded marvellous. Cecilia Bailey’s agonised, addicted Kundry was outstanding, astonishingly powerful both vocally and dramatically. 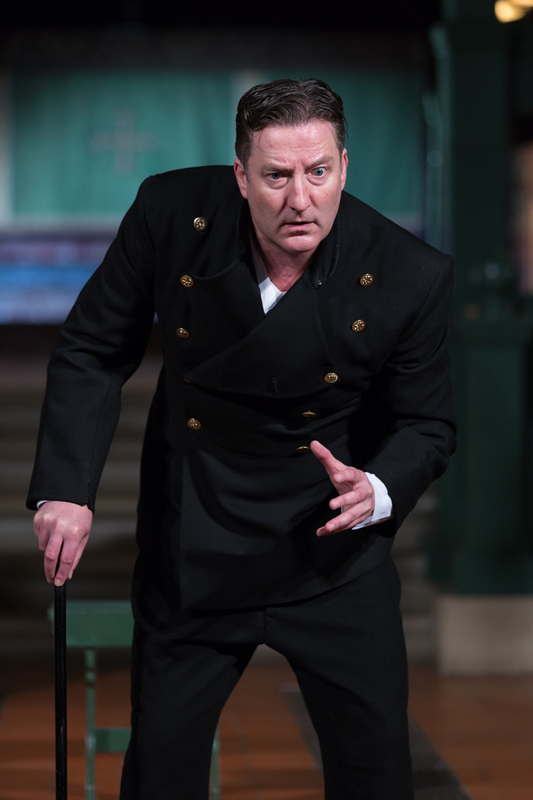 Because Adam Leftwich’s dramatically persuasive Gurnemanz was silenced by illness, the character’s voice was provided by the golden tones of Gerard Delrez in a side aisle. Stuart Pendred was an utterly magnificent Amfortas. Ashen-faced, leaning on a cane, inching forward step by anguished step, unwillingly seeking brief release in his opium pipe, this was an unforgettable portrayal of a strong man felled by pain. The moment in Act III when he crashed to the ground was overwhelming and the intensity of his gaze at Parsifal as he was healed was unforgettable. His singing was beyond praise. Peter Brooke was an eerie, oily Klingsor and Louis Hurst, singing from a pulpit, was a sonorous Titurel. The lesser roles were all well taken, with Robin Green, no mean Siegmund, especially notable as the vindictive Fourth Esquire. Mark Thrift’s reduction of the score for organ, piano and five strings was unusual but effective, especially in the sonorities of the scenes in the Grail chapel, where the choral forces were deployed both before and behind the audience, creating a wonderfully unearthly sound. Given the echoey acoustic, it is to the singers’ credit that so much of the English translation was audible.